Lancelot ‘Capability’ Brown designed Croome for the 6th Earl of Coventry. He was commissioned to re-design Croome Court in 1751 and then went on to re-landscape the parkland. He dug 1.75 miles of river, built several follies and created beautiful shrubberies for the Earl’s extensive plant collection. It was the first solo commission of the man who was to became one of the most famous and influential landscape designers of the 18th century. The National Trust has been restoring Croome over the past 20 years. It’s a delightful place to spend some time – to wander in the garden or the park, explore Croome Court, or to enjoy coffee, lunch or afternoon tea. On a clear day, the views over the Malvern Hills really lift the spirits. 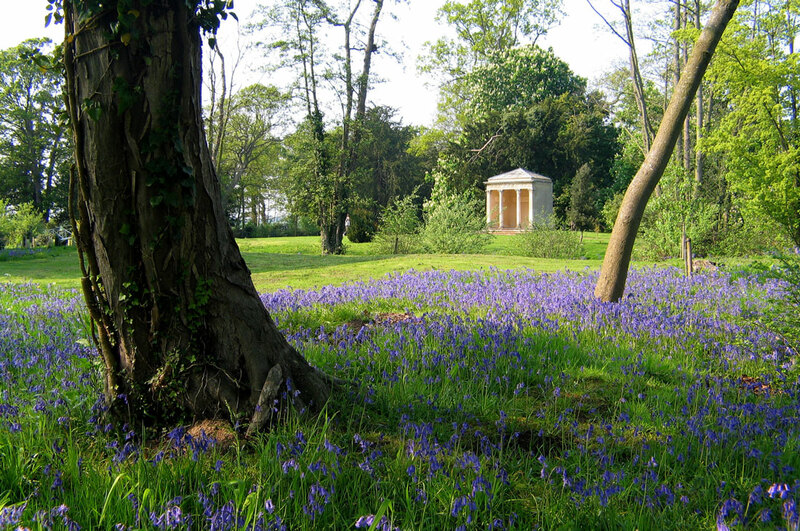 Our Silent Space is located not far from the Rotunda in the Home Shrubbery, the 6th Earl of Coventry’s favourite place in the garden at Croome. Take a seat on one of the benches – listen to nature, breathe in the fresh air and enjoy the views over the parkland. You might spot swans on the river or hear buzzards as they soar overhead. Enjoy a moment of rest and tranquillity before exploring more of the garden and park at Croome.